North Hills Towing is the leading 24 hour full service towing company servicing Mission Hills, Granada Hills, as well as all of the San Fernando Valley, Greater Los Angeles and all surrounding areas, and of course North Hills. Our company offers Full Service Towing and Emergency Repair Services, Roadside Assistance, Breakdown Auto Services and offers Flatbed Trucks and Heavy Duty Towing. Our tow truck service is proud to provide you with the roadside assistance you need, whether you lock your keys in your car, run out of gas, have a flat tire or even need a jumpstart, our fast and reliable service is always available when you need it, guaranteed. Our staff here at Towing North Hills is on call 24 hours a day, 7 days a week. Our efficient professionals are available for you 24/7 throughout the year at any of our locations in greater Los Angeles. We provide service even on holidays to assist you with your emergency needs. Our towing professionals are experts in executing all kinds of towing work and the most interesting thing about them is that they will handle your car or any other vehicle with all care, so that damage free towing can be ensured. Our North Hills tow truck service has a well trained staff from our phone dispatchers to our tow truck drivers that have been in the industry for years. They work together to provide you with the best service possible and provide you with the best assistance that can satisfy your need for towing. The secret to our success is communication between ourselves and the client, you! North Hills Towing understands a lot of the other tow truck companies are open from 8am to 10pm, more than likely because those are the hours where there is the most vehicle movement. However, we understand that although that interim IS prominent for the most needed services and towing, we also understand that not everyone’s day in the community is the same. Here at our towing company, we’d like to make sure that we’re available to cater to all of our customers, no matter the hour. For example, there are many residents here that work graveyard hours, and our Towing Service would like to help them out too, if they need us. Say, if they got ready for work at midnight, they, or even you, might experience some sort of vehicle failure. In this case, we’re the perfect ones for that job. Our drivers would come, help you out, and you’ll be on your way. Or even, if you’re coming home from work, and you get into a car accident, we want to make sure that we’re there to get you away from the scene, and bring you to safety. However, North Hills Towing is open for all hours, and we cater to all types of situations. For example, say it’s Friday night and you’re coming out of a nice night out with your buddies, only to find that your keys were left inside your car. It’s three in the morning. Who do you call? That’s right! 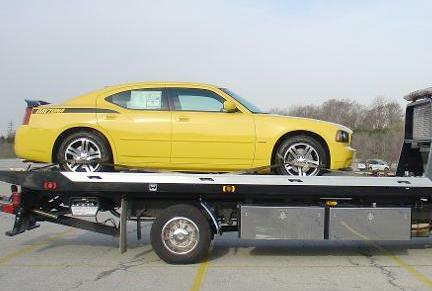 Our tow truck services are the perfect service to call. 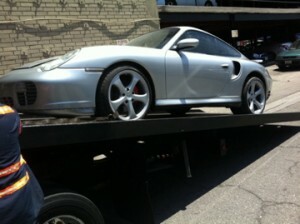 Our skilled towing technicians will come out, and assist you with that lockout. They’ll get you your keys, and get you back on the road, and they’ll be happy to do so, even if it’s three in the morning.